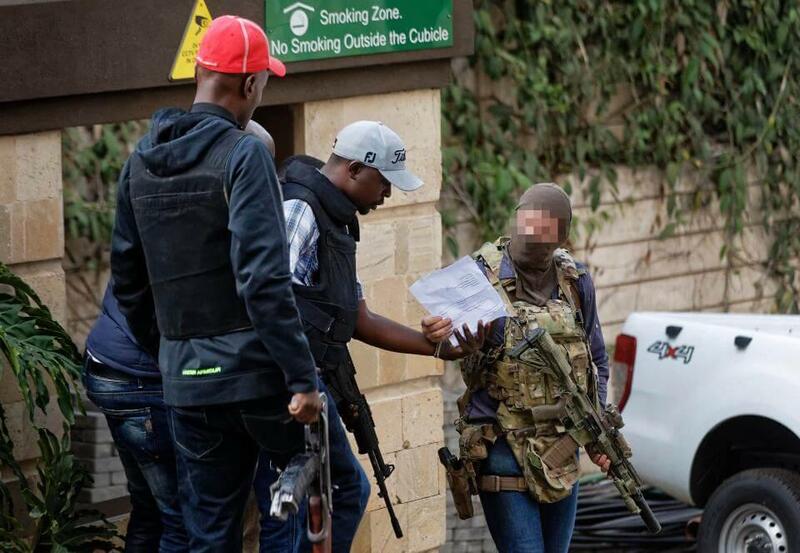 A British Special Air Service (SAS) operator who reacted to last Tuesday’s terrorist attack in downtown Nairobi, Kenya became famous overnight. Despite his identity is unknown to the public, he made headlines. World news agencies have speculated about his identity and outfit. At first, he was “identified” as a Navy SEAL from SEAL Team 3 because he wore a Velcro patch that ST3 SEALs have been seen wearing. In fact, after some research, the truth is that he is not a “regular” SAS operator. Instead of that, he is part of the British Territorial Army SAS which is the reserve component of the famed Special Operations unit, according to the NEWSREP. The 21 SAS and 23 SAS Regiments are garrisoned by civilian volunteers who have undergone rigorous SAS selection and training. They are led by senior officers and non-commissioned officers coming from the active-duty 22 SAS Regiment. Unlike the regular SAS Regiment, it accepts members of the general population without prior military service. The two special operation units had been part of the United Kingdom Special Forces (UKSF) since its inception in the late 1980s. However, a recent organizational restructure of the British Army brought them under the wing of the 1st Intelligence, Surveillance, and Reconnaissance (ISR) Brigade in 2014. Still a SOF unit, they now focus more on SR and Human Environment Reconnaissance and Analysis (HERA) operations. Alongside these skill sets, they also conduct FID and advice and training missions. The SAS operator who single-handedly stormed the luxury DusitD2 hotel was in Kenya on training and advise mission. They was assigned to the local police and military counter-terrorist units. On a side note, during the terrorist attack, he was off-duty, but despite that, he assisted Kenyan special forces during the rescue operation. The Territorial SAS Regiments have been mobilized for all the major conflicts in recent British history, including Falklands, Northern Ireland, the Balkans, the Gulf War, Afghanistan, and Iraq. During 1 September 2014, 23 SAS was placed alongside 21 SAS under the command of 1st Intelligence Surveillance and Reconnaissance Brigade, a brigade under Force Troops Command which provides combat specialist support to the British Army’s Reaction and Adaptable Forces. Moreover, the unnamed operator has been nominated for the George’s Cross (GC), the equal standing to the Victoria Cross (VC), which is the British equivalent of the Medal of Honor. It is equal standing hence is the VC and GC Association, the VC comes first in lists as it was instituted first but they are both level one awards. The aftermath of a deadly attack on the luxury hotel by the Somali militant group al-Shabaab, which is affiliated with notorious al-Qaeda, brings the total toll of 21 people dead, including an American citizen, and dozens wounded. Time for Change in U.S. Special Operations Command? Since the terrorist attacks on Sept. 11, 2001, the U.S. military’s Special Operations Command has gained manpower and money as well as responsibility for an ever-wider range of missions. But now Congress is beginning to question, and push back against, the commando mission-creep. At present SOCOM is the lead agency for U.S. military counterterrorism operations and security-force assistance. The latter involves U.S. forces training foreign armies and other proxy forces. SOCOM in 2016 also assumed the lead role in combating the spread of weapons of mass destruction, a mission that previously belonged to U.S. Strategic Command. More recently, SOCOM became the lead command for America’s “military information support operations.” In essence, propaganda. The command wants even more responsibility, according to CRS. “The current unified command plan stipulates USSOCOM responsibility for synchronizing planning for global operations to combat terrorist networks,” CRS noted. USSOCOM is proposing changes that would, in addition to current responsibilities, include the responsibility for synchronizing the planning, coordination, deployment and, when directed, the employment of special operations forces globally and will do so with the approval of the geographic combatant commanders, the services and, as directed, appropriate U.S. government agencies. Further, the proposed changes would give broader responsibility to USSOCOM beyond counterterrorism activities, to include activities against other threat networks. But the world has changed in those nearly two decades. Congress increasingly has questioned SOCOM’s sprawling responsibilities and recently ordered two separate reviews of the command. Lawmakers in part were motivated by reports of misconduct by SOCOM personnel as well as by SOCOM’s alleged participation in conflicts for which Congress did not provide authorization, specifically in Niger. Four SOCOM troops died on Oct. 4, 2017 when militants ambushed their patrol in Niger in Central Africa. “Prior to starting out on the ill-fated patrol, two junior officers, including an Army captain who remained at the base in Niger and the team leader, falsified a document to get approval for a mission to kill or capture a local ISIS leader,” CNN reported. “Some believe this situation calls into question the adequacy of civilian oversight and control of U.S. SOF,” according to CRS. The reviews of SOCOM that CRS mentioned will “take an introspective look at U.S. SOF’s culture, roles and responsibilities, adequacy of resources, organizational structure and the adequacy of training, education and personnel,” the research service reported. Aware that U.S. [special operations forces] are overburdened and that there is a need to find the right balance between continuing to challenge terrorist organizations while simultaneously addressing growing irregular warfare threats posed by nation-states, policymakers will likely make good use of the two forthcoming congressionally mandated reviews. It is possible that over the next few years, significant public policy debates on the future of USSOCOM and U.S. SOF will be undertaken, potentially resulting in a number of changes. After 17 years at the forefront of the global military campaign against terrorism, policymakers, defense officials, and academics are questioning the future role of USSOCOM and U.S. SOF. 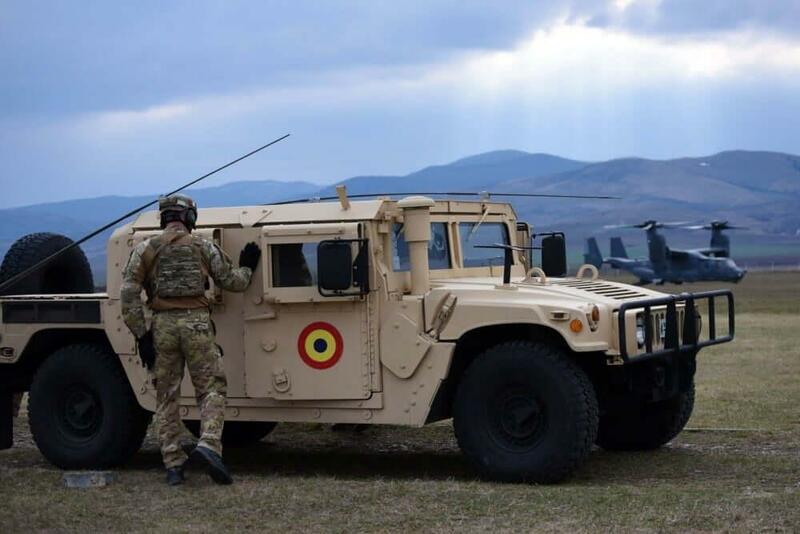 U.S. Air Force’s 7th Special Operation Squadron, assigned to 352nd Special Operation Wing, based out of Mildenhall, England, deployed to Bacau, March 10-15, 2019, to conduct mission essential tasks, and simultaneously, familiarize Romanian SOF with the CV-22 Osprey. The 7th SOS operates the CV-22B Osprey throughout the entire range of military operations in support of conventional and special operations. The 7th SOS executes this mission at night, in adverse weather, performing long-range insertion, extraction and resupply missions in hostile, denied and politically sensitive territories. US and ROU SOF conducted day and night fast rope infiltration and exfiltration operations (FRIES) and low-level flying. These capabilities are something ROU SOF are (trained and) skilled in; however, this was their first time conducting FRIES out of the CV-22. Through these pieces of training, SOF members demonstrate and strengthen partner nation relationships and air operations in the European Theatre. Along with developing combined leaders, this deployment gave the US SOF members the opportunity to establish professional development at the tactical level. The 7th SOS mission commander was very thankful for the ability to utilize the diverse NATO terrain and base resources to accomplish their objectives. 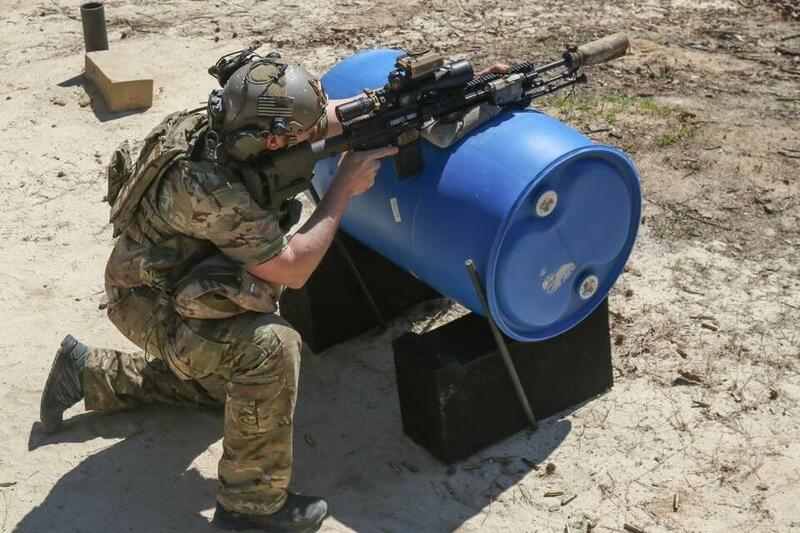 This collaborative training event allows each force to improve its individual and collective capabilities, and the 352nd SOW and ROU SOF will continue to train shoulder-to-shoulder in similar exercises.